Take a plentitude of capital and a paucity of disasters. Mix in a Florida building boom and massive hurricane, and the result looks like a giant hit to reinsurers. But the history of catastrophes suggests underwriting won’t become much more rational when the storm clears. 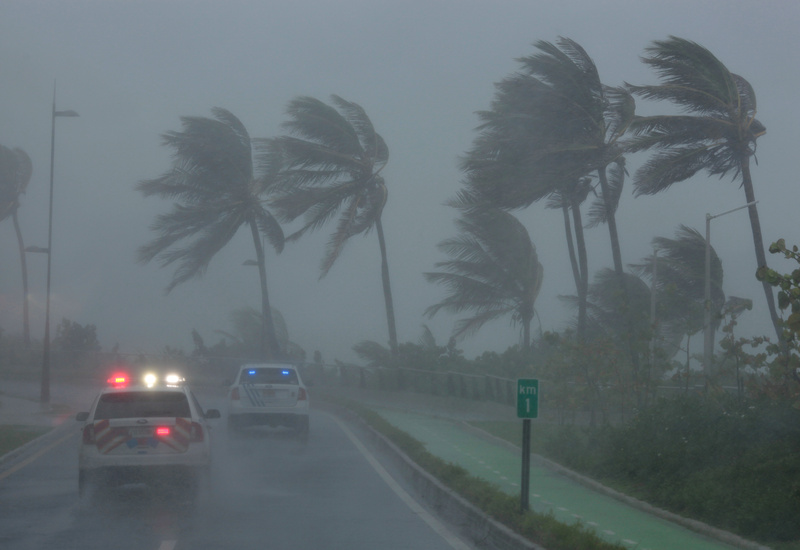 Police patrol the area as Hurricane Irma slams across islands in the northern Caribbean on Wednesday, in San Juan, Puerto Rico September 6, 2017. A hurricane watch is in effect for the state of Florida. The center of Hurricane Irma is projected to hit Florida on Sept. 10, according to the National Hurricane Center. The storm is one of the most powerful to ever be measured in the Atlantic. Current maximum sustained winds are 175 miles per hour, making it a category 5 hurricane. Hurricane Andrew hit south Florida 25 years ago, causing $26.5 billion of damage. Swiss Re estimates that if a similarly sized storm followed the same path today, it would result in $50 billion to $60 billion of damage due to increased development and asset values. If the same hurricane directly struck Miami, the damage would be up to $300 billion and insured losses of $180 billion.